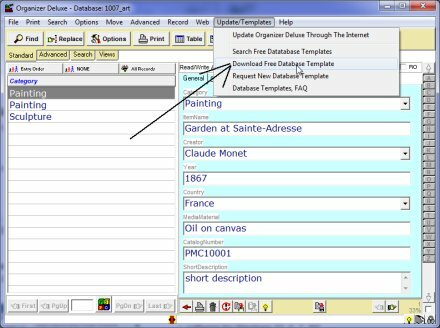 Use Organizer Deluxe for all your database management needs. 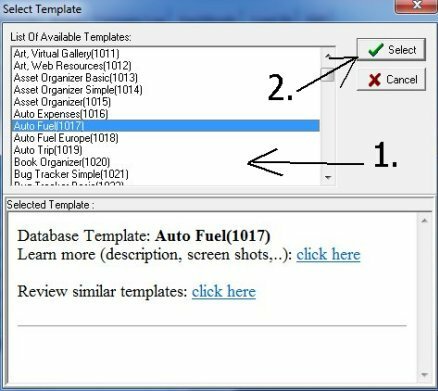 Try any template from over 200 free ready-to-use database solutions. Template is downloaded and installed. 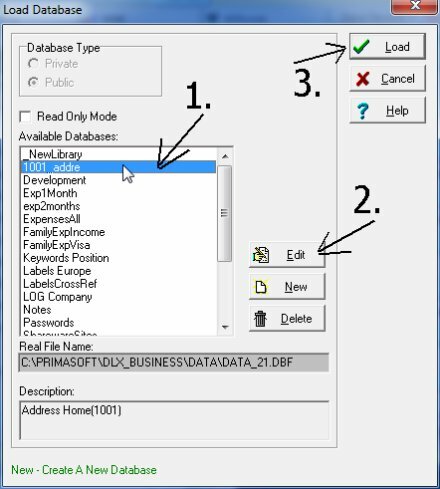 Click Load Database menu command. 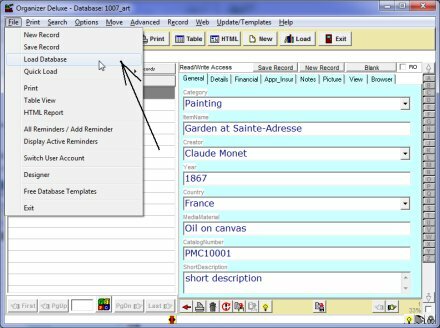 The database name is composed of the template number 1001 and 3-5 letters (1). Click Edit to edit the name (2). Click Load (3) to open the database.